Here is the logo I designed to go with the Sandy Bee Treats brand. 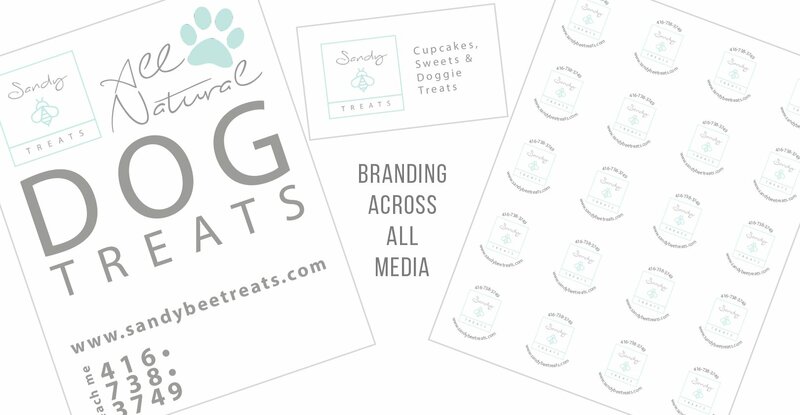 In keeping Sandy Bee Treats branding consistent, I designed a logo, business cards, circular labels, display signs, and many more items that are not shown here. I also designed a Facebook cover photo, ingredient labels, t-shirt iron-ons, and other print media. These items help people recognize her brand apart from anyone else’s branding.